If you follow social media trends, you’ve heard that video is HUGE right now, and it’s only going to keep growing over the next couple of years. In fact, video is predicted to be one of the biggest social media trends in 2018. Live video can be a particularly effective way to produce video content. It can also seem very scary, especially if you haven’t done it before. But, it doesn’t have to be! In this interview, live video expert Camberley Woods shares her top tips to help you use live video effectively. 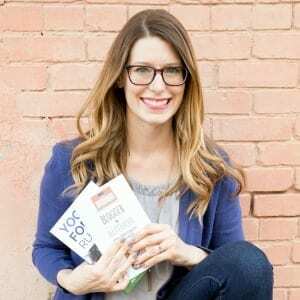 She gives us some specific suggestions for ways that authors can use live video, and she tells us how to effectively plan a live video so you can get great engagement with your viewers, build your business, and sell more books. For the past 7 years, Camberley Woods has been running an online marketing agency. Her agency has helped corporate clients with their content market strategy, email list building, social media and Facebook advertising. In the past year, Camberley has taken a special interest to Facebook Live. She has gone live over 200 times and teaches people how to effectively use this platform to grow their business. Facebook <–The perfect place to see great examples of how to do FB Live right!